Accidents happen—there's simply no way to avoid the unexpected. You can, however, prepare for it. Ace Insurance Services of Virginia is a unique residential and commercial insurance company dedicated to helping you find coverage that is right for you. Serving the greater metropolitan area for many years, our agents are dedicated to your complete peace of mind. 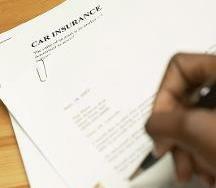 All insurance policies aren't created equal. You wouldn't go to a grocery store if it only offered one product, so why go to an insurance company that sells only one type of insurance? That sort of agency works for the company and not for you. Ace Insurance Services of Virginia is an independent agency dedicated to helping you find the absolute best coverage at rates well within your budget. Contact us today at (888) 353-0148 in Baileys Crossroads, Virginia, for a wide variety of all-inclusive insurance policies, including commercial, auto, and travel insurance. Backed by more than 15 years of industry experience, our agents know how to help you save on both commercial and personal insurance policies. Ace Insurance Services of Virginia represents countless credible and financially strong companies, including Fortune 500 companies. We are a growing agency that is concerned about giving our customers the highest-quality customer satisfaction and care possible.